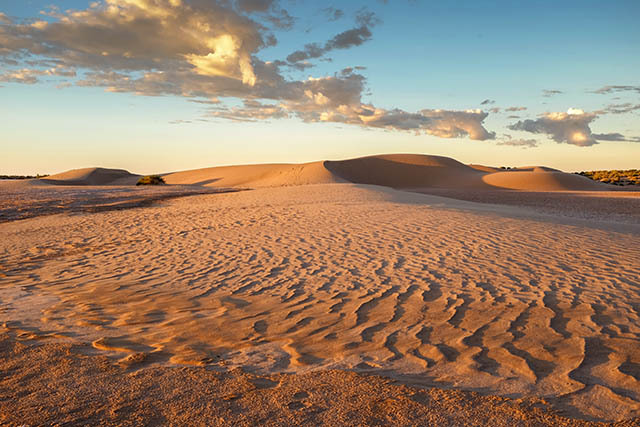 The link between sand and salt on Lake Frome is probably stronger than any of the rest of the dry lake system in South Australia’s Outback. Lakes Eyre, Torrens, Gairdner and the other smaller ones that cover large areas of the deserts have little in common with Frome. This is where the salt along one section of the coast finishes and sand dunes begin. What start out as few low ripples grow to exquisite formations of wind shaped dunes.